Software solutions for mobile signing and the A4-Signature-Pad Alpha are the highlights of this year´s CeBIT appearance from the signotec GmbH. In hall 3 stand D25, CeBIT visitors can experience how the integrated soft- as well as hardware components for electronic signing co-operate. The successful Pen-Pads Sigma and Omega are going to be presented as well. signotec is developing and manufacturing on its own, Made in Germany, and thereby claims an outstanding position on the market. The perfectly harmonised systems provide highest security when signing electronically. On its CeBIT stand the manufacturer is presenting the complete bandwidth of legally conform solutions for the signing of digital documents with a Signature-Pad or on mobile devices. With the signotec products, companies are able to create evidential electronic documents, to avoid media breaks and to optimise their business processes . The signotec GmbH addresses all branches with a high document volume and offers a multiplicity of special solutions, which can be integrated easily in existing systems like for example SAP. For the capturing of the signature with biometric parameter, signotec is presenting its self developed Signature-Pads “Sigma” and “Omega”, produced in Germany, for stationary and mobile use. The signotec-pads stand out from their competitors due to their ergonomic shape and technical details. If you value security, you cannot get past signotec: Only this manufacturer provides sophisticated methods for the encryption and signature of confidential data within the pad. The A4-Pad “Alpha” allows the simultaneous signing of PDF and original document and therefor meets the requirement of a “wet ink” signature. Large-sized Pen-Pads are particularly needed, if you want to display complex documents, which have to be signed. Thanks to a new technical procedure from signotec, even the requirement of the written form, which applies for example for Loan Agreements can be fulfilled with the device: The signee places the original document on the pad and then signs the paper and PDF at the same time via electronic blueprint. Together the Signature-Pads and software from signotec form a process optimised, evidential and perfectly harmonised solution for the signature of PDF documents. 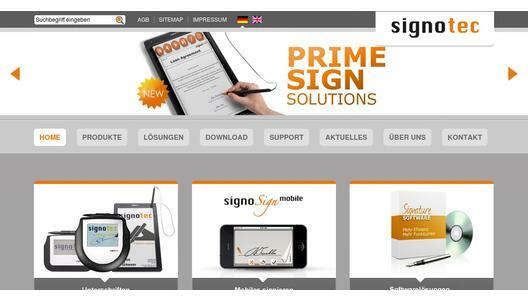 Products for desktop-signing like “signoSign/2”, browser based systems like “signoSign/Web” or “SignoSign/mobile”, a solution especially for the use on mobile devices like iPad or other smartphones / tablets, act as software-basis. 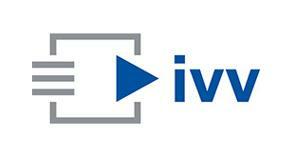 The latest versions of “signoSign/2” and “signoSign/mobile” are certified by the German TÜV. With its mobile signature solutions for iPad/iPhone, Android- or Windows tablets or –smartphones, signotec meets the users growing requirement to trigger business processes which require a handwritten signature even on the go on their mobile devices. If you want to sign PDF documents directly on your tablet, legally conform and handwritten, you need a special pen as well as the appropriate application: With “signoSign/mobile” signotec developed a signature software especially for the use on mobile devices. PDF documents thereby can be signed via iPad or Android tablets – directly on the display of the mobile end device. Thereby a workflow free of media breaks is guaranteed. In the context of a forum-program, a speech about the topic “mobile office - the diversity of mobile signature solutions” is taking place on Friday, 14th March 2014 from 10:00 to 10:30 o´clock, hall 3, stand D05 in the CeBIT-EMC-Forum. The ECM-Forum is hosted by the “Deutsche Messe” in corporation with the “VOI-Verband Organisations- und Informationssysteme e.V. and the “BITKOM” and is located in immediate proximity of the signotec GmbH stand. signotec was founded in the year 2000 and is market- and technology leader in the field of electronic signatures via pen-pad or tablet-PC. 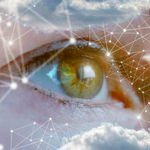 With signotec´s products the user is able to sign as usual, also digitally, optimize business processes, avoid media disruption, authenticate persons and create legally compliant documents. Electronic documents being signed in this way can be checked always, everywhere and by everybody without any technical complexity. With signotec signature solutions signing remains as simple and safe as it has always been. Signing, though, takes place directly within the electronic document. Thus cost-intensive media disruption contingent on the use of paper can be prevented, and electronic documents are protected by the digital signature and can be verified. Clients are German and international industry customers, trade chains and -corporations, financial institutions, numerous institutes of the Sparkassen Finanzgruppe as well as the Volks- and Raiffeisenbank, insurances and broker.